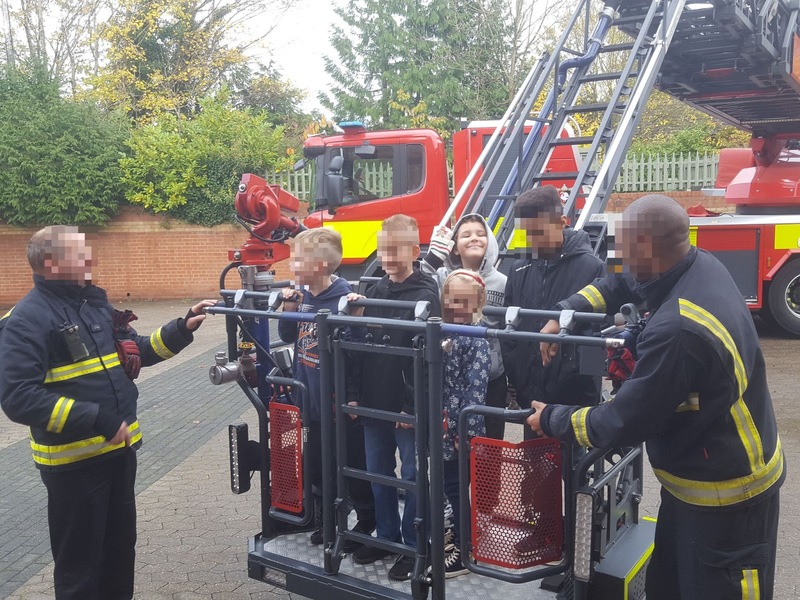 For our last Faith In God activity, the Leader had arranged for the children to visit a local Fire Station. The idea was that the children would get a tour of the building and at the end of it have an understanding of what life as a Fireman is like and what their job involves and hopefully be more aware of the importance of their role and of the hard work that these brave men and women do. 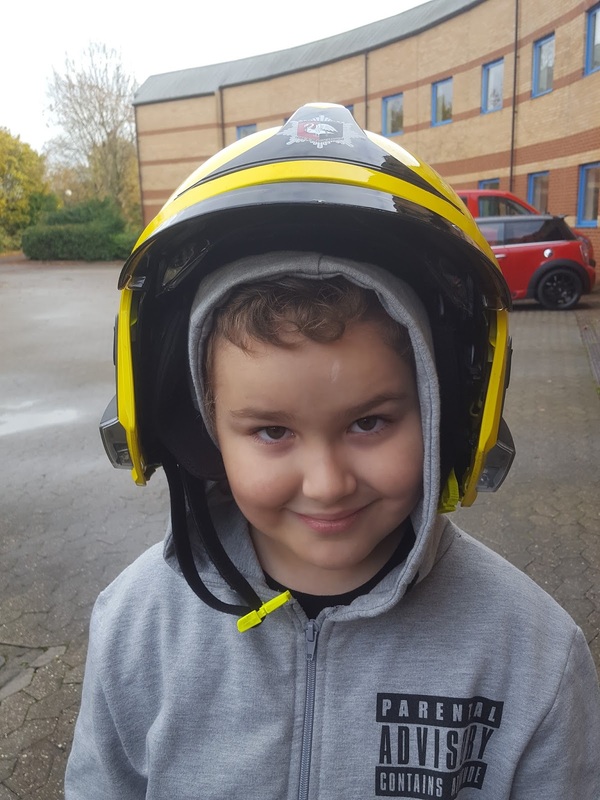 I sorta said that as Primary President, I'd be going to support the Faith In God leader and to help if Dan Jon Jr had a problem with his blood sugars, but really it was because I wanted a tour around the Fire Station too! Not long after we arrived, the children were talking with the different members of crew that had been assigned to give us the tour when BEEEEEEEEEEEEEEEP, BEEEEEEEEEEEEEEEP, BEEEEEEEEEEEEEEEP! The alarm went off and all bar one of the Firemen had to run out to answer a call. The Fireman who was staying with us showed us the screen that had shown where the Firemen were off to and explained how the information was displayed etc. The children did find this interesting, but it was the group of adults that had managed to stick around that were the most vocal in asking questions! 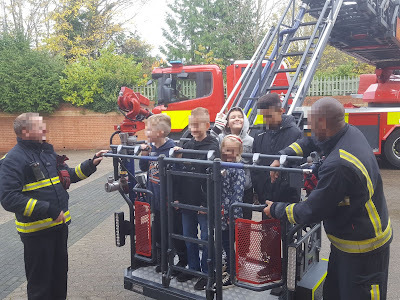 The children soon warmed up to our friendly Fire Man tour guide, especially when he showed us all the equipment that they use in order to help them get into buildings or cars or where ever they have been called to help. We were shown the gym and told about the gruelling fitness tests and why they were necessary, shown the dorm, for those who worked the night shifts, the HUGE map that allowed the crew to memorise the different parts of Milton Keynes amongst many offices for the paperwork and other aspects of the job that quite honestly I'd never thought of before. We were told about and allowed to hold/try on various pieces of equipment so we could feel for ourselves the weight of the clothing that the Fire Crew wear for safety. Those helmets, jackets and boots are HEAVY! I wouldn't want to have to run those up 13 flights of stairs, let alone also having to carry equipment and making my way through the smoke. 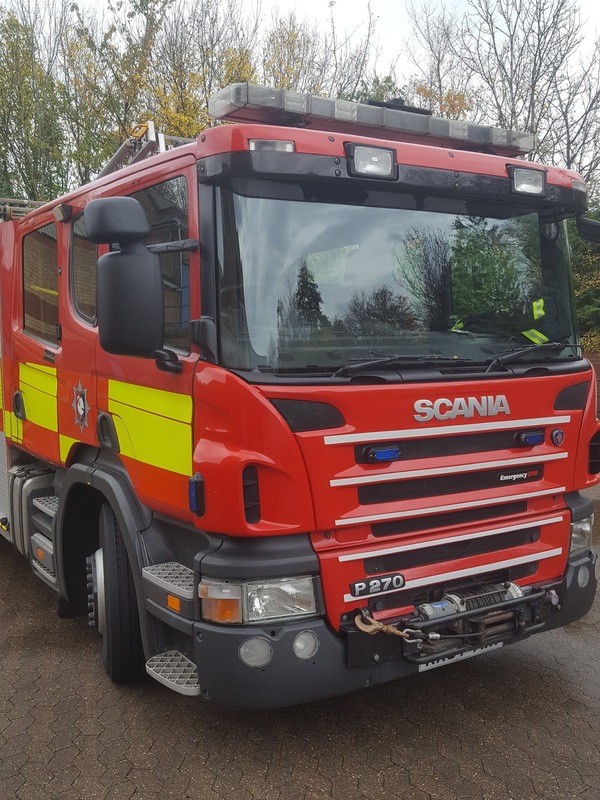 It was when the crew arrived back at the Station, that they asked the children if they wanted a tour around the Fire Engine. Of course, the children were excited by this and a chorus of YES PLEASE! could be heard. 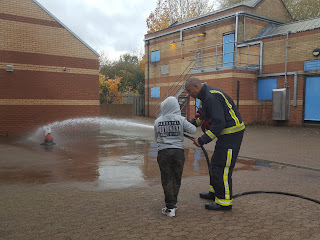 The crew tested the children (and adults) on what different pieces of equipment was called and what it was used for, before connecting up the hose and allowing the children (and any adults that wanted) to have a go at aiming the hose at a Traffic Cone and trying the various water functions, whilst they had it explained what each function would be used for in various fires. 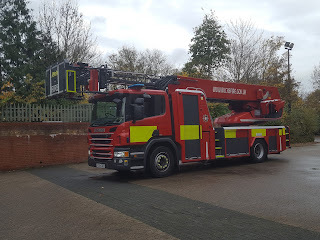 We were also allowed to see the Hydraulic Platform in action, which is a monster of a thing and I am so glad I don't need to drive through some of the narrow streets in Milton Keynes, which is apparently something the crew will do to familiarise themselves with the areas, the road names and any restrictions that they may encounter in an emergency. 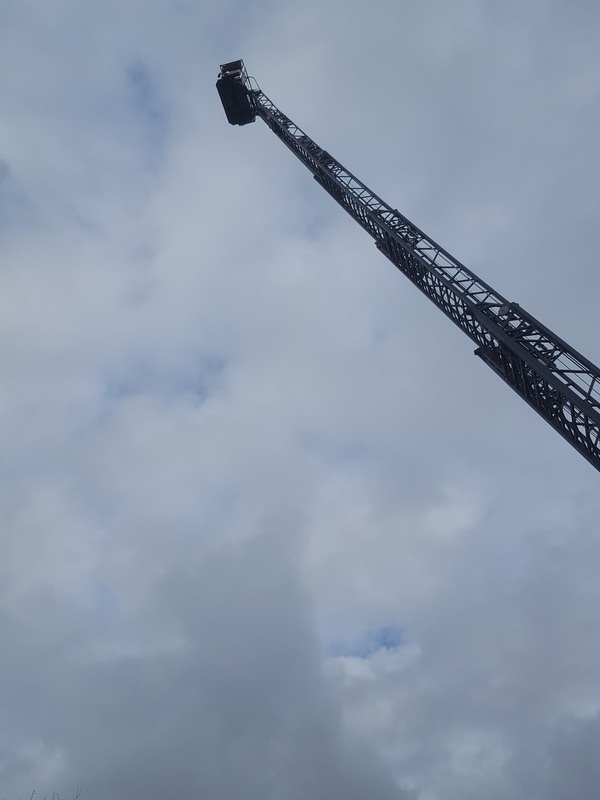 When they extended the Hydraulic Platform to it's fully height, we couldn't believe it stretched up so high! I've forgotten the exact height that it could extend to, it was over 30m, but the crew told us they had taken it to a local High Rise and were pleased to see it could go up to the 18 floor, which was the highest level of this building and the highest building in Milton Keynes. The children were allowed to stand in the caged platform for a quick photo, but H&S rules meant no movement. I think that the children were pleased about this, after all, they had just seen it stretch to its full extent! The children who were able to attend the day found it really informative and I hope that they also have a brilliant understanding of the work that the local Fire Crews do because I do after our visit. Lastly, I just want to say if you happen to be married to a Fireman or a be a Fireman (and I mean Women too!) or related to a Fireman then Thank you. Thank you for the job you do, for helping keep us safe, for the hard work, the training and everything else that makes up your job.